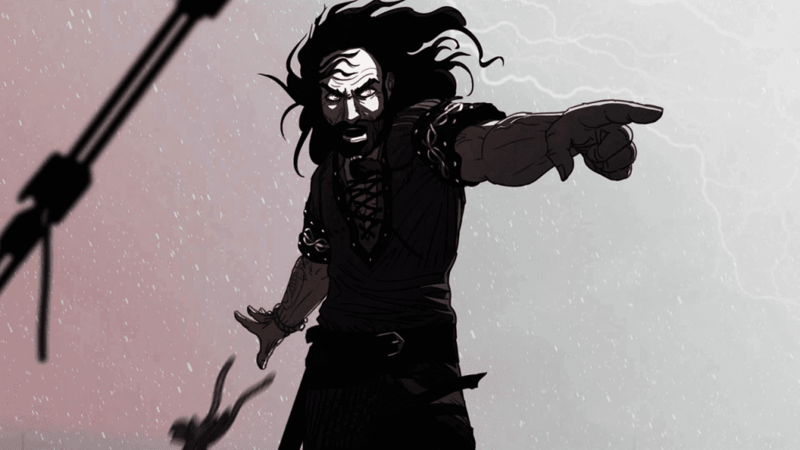 Dead in Vinland is a survival management RPG where it throws you obstacles after obstacles. Scavenge food, do not tire your party, do not let depression consume them, and more. Dead in Vinland is a survival/management indie game by CCCP and published by Playdius. When I first saw its trailer and presskit, I initially thought that this was like The Banner Saga. Oh boy, I was totally wrong. I played it for around 1 hour (the video above) and died when one of the major characters died, and you will be handling four (4) of them. I felt like I need to play more before I discussed my first impression of this game (and a full-on review sometime in June), so I decided to play more hours and I got easily hooked! Basically, the premise of the game is you and your family is exiled from your homeland by other Norsemen. Reasons why they exile you are unknown, but you manage to escape by boat and eventually reach an unfamiliar island. This island, however, is being run by Björn “Headcleaver”. 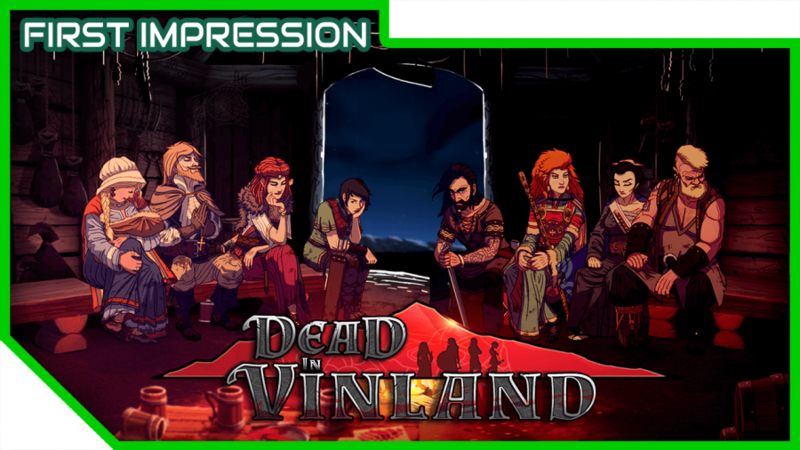 Two of the key features of Dead in Vinland are its deep survival management simulation and that it is challenging. Both are true, I have played for quite a few hours now, and there are times I just have to restart from the last checkpoint since it will end the game for me if I did not. The game gives you the game over screen when one of the main family members dies. There are three difficulties in the game, the easy, the normal, and the hard difficulty. It even has Iron Man mode, which is if you do not know, it means you do not have checkpoints at all. You only have one save file. Regarding the survival management aspect, I can say that it is hard. You have to gather wood, food, water, explore, and even craft items. Also, you will be encountering enemies once you are exploring, and that causes injury if your characters get damaged. All of these things cause fatigue and depression especially if the character does not like what he is doing. Anything that reaches 100% would lead to the character dying. Not only that, characters’ stats go down because of fatigue, injury, sickness, and depression. It is safe to say that you are always at disadvantage 90% of the time in the game. Need drinkable water and cooked food! I actually like the game’s combat system. Reminds me of the classic JRPGs back in the day. Each character has different skills but they are also categorized. They can be a defensive mammoth or a great support. For example, Kari is great at debuffing enemies then she can attack and have a chance to hit critically. Blodeuwedd, on the other hand, is a damn tank. She is my current favorite because her armor is too high, and she can buff everyone defense and just stay on the frontlines. Her attacks either buff her defense or debuffs enemies for their next turn. Speaking of armors, some characters have it, characters cannot get injured in battles unless enemies destroy it. Sad to say, it is just 3v3, so choose your warriors carefully. For me, I always use Kari, Blodeuwedd, and another character who can either do powerful attacks or have an armor to play defensive. Dead in Vinland is surprisingly fun to play, if there comes a mobile port for this game, then it is going to be an easy buy for me. I have not finished the game yet, but so far, I really am liking this game. Get the game on Humble Bundle to help the charity as well as myself (I am an affiliate).